ANTONOV Airlines has completed a project transporting mining equipment from East Midlands airport in the UK to Franceville airport in the Gabon. The entire project took just over week and was facilitated by in-house ANTONOV Airlines loading technology. In order to guarantee precision and efficiency, ground staff at East Midlands used ANTONOV Airline’s purpose-built ramp positioned at an angle of only three degrees to load two tracked crushing machines; the entire process was completed using remote control. 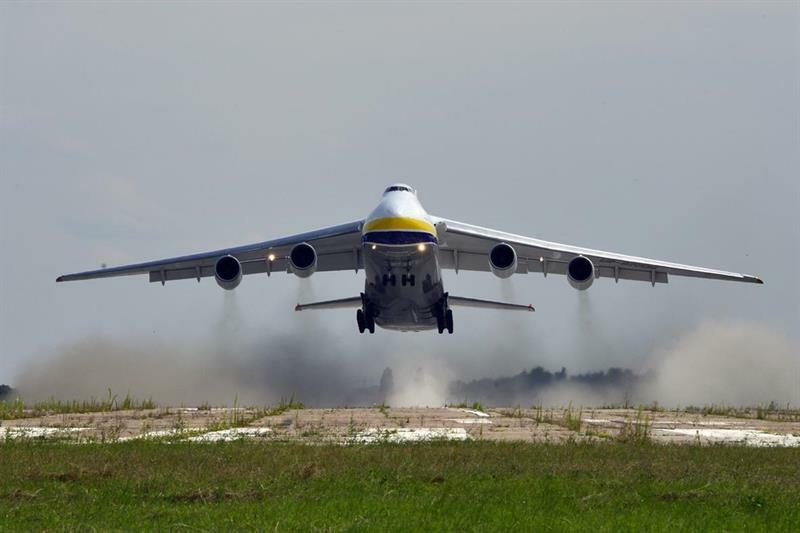 “One of our AN-124-100 Ruslan aircraft flew two 18 metre long crushing machines to be used in mining operations in Gabon, on behalf of our long-standing customer, Bolloré Logistics,” explained Paul Bingley, Commercial Manager of ANTONOV Airlines. The total combined weight of the two machines was nearly 70 tonnes, and precision was a vital ingredient during the loading process.